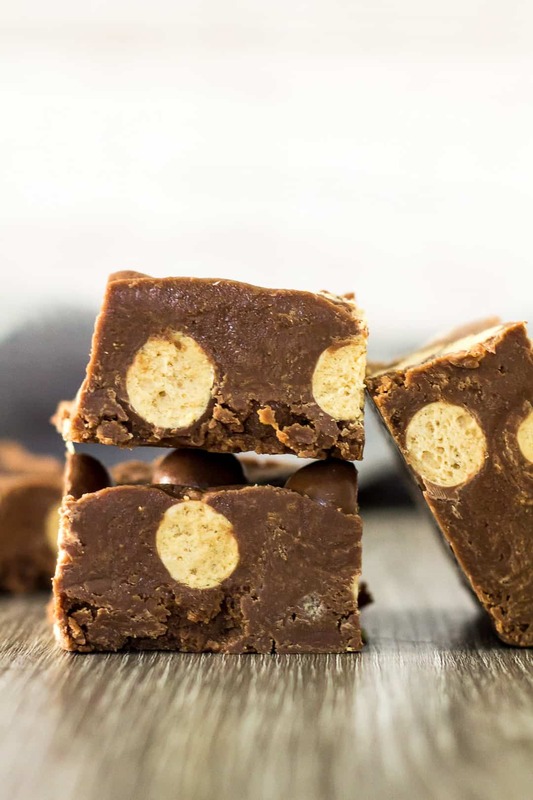 Malted Chocolate Fudge – Deliciously thick and creamy chocolate fudge that is flavoured with malted milk powder, loaded with Maltesers, and only requires 5 simple ingredients! 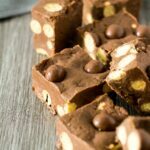 Take my easy chocolate microwave fudge, throw in some malted milk powder and Maltesers, and you have this incredibly delicious Malted Chocolate Fudge! Do you love Maltesers (Whoppers) too? Then you are gonna fall in love with this Malted Chocolate Fudge. It’s super easy to throw together, only requires 5 simple ingredients, and is made in the microwave! Malted Milk Powder: I used Horlicks. 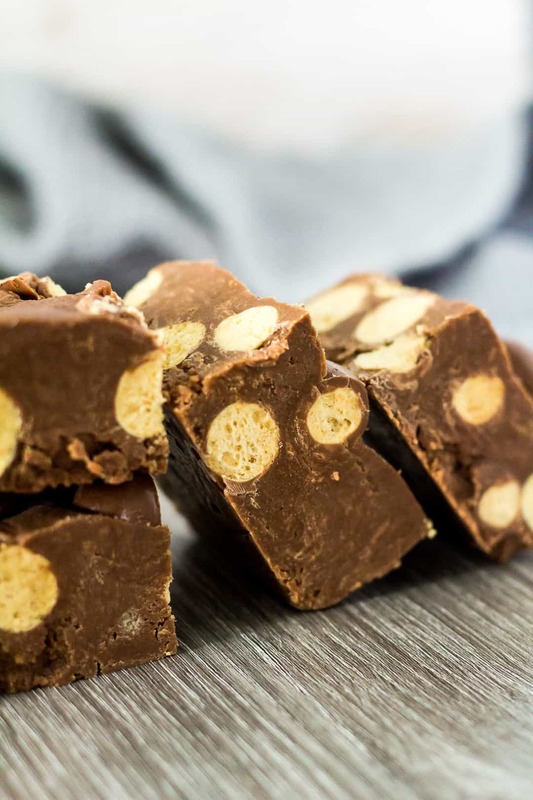 To make this fudge, simply place the chocolate into a large microwave-safe bowl, and heat in 30 second intervals, stirring after each one, until melted and smooth. Stir in the vanilla and malted milk powder until combined. Stir in the condensed milk until almost combined, then fold in the Maltesers. The mixture will be very thick. Spread the mixture into an 8×8-inch square baking pan lined with foil or parchment paper, and smooth out the top. Top with extra Maltesers, if desired. Refrigerate for at least 2 – 4 hours or overnight until completely set before cutting into pieces. How long will this chocolate fudge last? This fudge can be stored in an airtight container at room temperature for 1 week, or in the fridge for 2 – 3 weeks. Can I freeze this chocolate fudge? This fudge freezes well for up to 2 months. Thaw overnight in the fridge before serving. 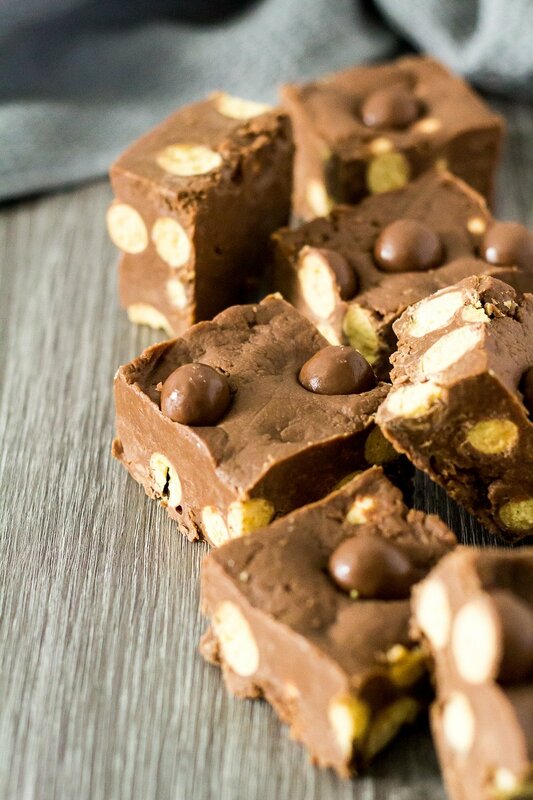 Try these fudge recipes next! 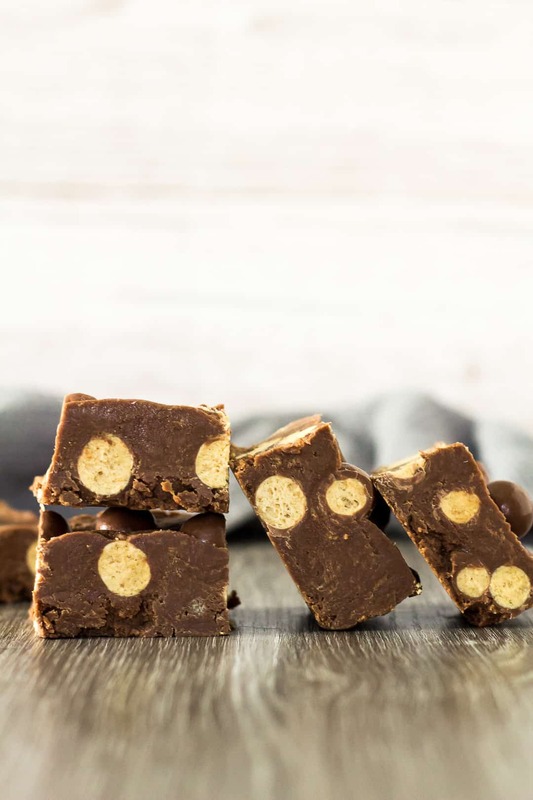 Deliciously thick and creamy chocolate fudge that is flavoured with malted milk powder, loaded with Maltesers, and only requires 6 simple ingredients! Place the chocolate into a large microwave-safe bowl, and heat in 30 second intervals, stirring after each one, until melted and smooth. Stir in the vanilla and malt powder until combined, then stir in the condensed milk until almost combined. Fold in the Maltesers. Spread the mixture into the prepared pan, and smooth out the top. Top with extra Maltesers, if desired. Refrigerate for 2 - 4 hours or overnight until completely set. Malted desserts are some of my favorites so this fudge will most certainly be hoarded by me! I can’t believe how easy it is to make!! The malt balls look great in there. What a great taste and texture to add.